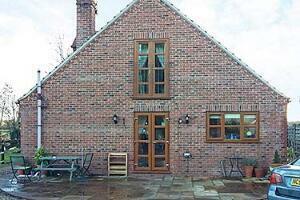 A small family home with two en suite double rooms. Close to historic York, Harrogate, Leeds and Hull. We offer off street parking. Free WiFi. Tea and coffee making facilities. TV. We have a couple of ponies Toby & Duggy and a cat called Ollie. Your host's Craig & Maggie Pickup are awaiting with a warm Yorkshire welcome, to their newly refurbished bed and breakfast. Situated in the Picturesque village of Riccall, which is 3 miles north of Selby.This friendly village is centerd around the village green and the ancient parish church of St. Mary's it boasts some great pubs and restaurants. 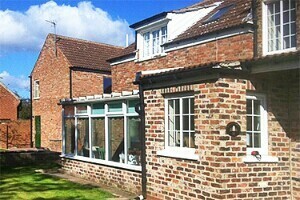 Riccall is also a fantastic base for you to explore our great county of Yorkshire. We are 9 miles south of York. Harrogate, Leeds and the Dales are just 30 minutes away and the coast less than an hour. Our aim is simple, we wish to provide you with a great nights sleep in a king size bed and refuel you with a proper Yorkshire breakfast. We're trying not to keep it a secret but you might want to. Sshh its the quietest B&B around.